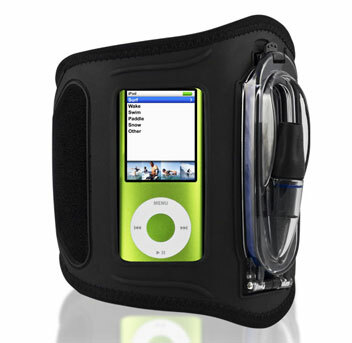 Amphibx Waterproof MP3 Players Armband Medium for Underwater MP3 Players. Suitable for many small and medium iPods such as the iPod Nano 2nd, 3rd, 4th, 5th & 7th Gen and Shuffle range. Also fits many other MP3 player makes and models. Please see size guide. Amphibx provides a fully integrated, wearable, watersports music solution. Its unique shape and specialized materials have been designed to comfortably grip your arm while you're dropping in, cutting back or wiping out. 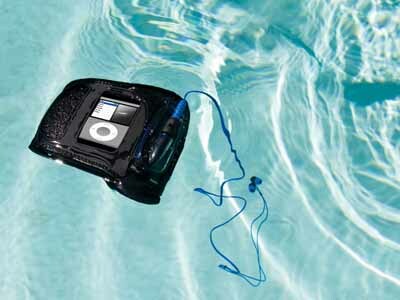 Click For Product Review and List of Compatible iPods, MP3 Players and Phones.